Discover more of Tuscany on a half-day trip to Siena, located just 45 miles (75 km) south of Florence. 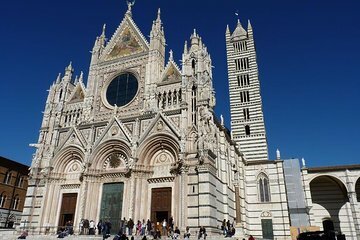 With convenient round-trip transport and a private guide, you avoid the stress of navigating on your own and learn more about Siena than you could from a guidebook. In the company of your small group, cap off the tour with an intimate wine tasting of two regional grape varieties.